for planting three to six sweetgrass plants. Copyright © 2009 by Craig & Sue Dremann, all rights reserved. Text, images and designs on this web page are free to copy for your own use, providing that you do not post this information or images on another web site, or distribute the information by any electronic or printed means, without written permission and an annual license fee. Unauthorized copying or posting on another web site, you agree to pay on demand, liquidated damages of $100 per sentence per day. This box should last 10-15 years if you start with redwood heartwood or cedar, and the dimensions are 6 feet long, 6 inches wide and 4 inches deep, and each box will hold three to six sweetgrass plants. The wood for each box only costs $8 including sales tax. PLEASE NOTE: ONLY USE REDWOOD or untreated cedar lumber. DO NOT USE TREATED WOOD. Treated wood is usually treated with arsenic, and the arsenic can be drawn into the sweetgrass leaves, and put into the air when you burn the leaves. 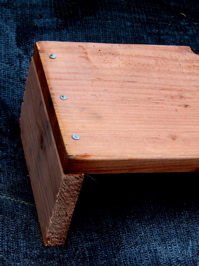 Once you have cut the lumber to size, this box only takes 15 minutes to make. I purchased the lumber at Home Depot in May 2009, and I have provided the SKUs and prices. Redwood sapwood vs. Heartwood . This is the very important key to the longevity of your sweetgrass planter box. The buff colored sapwood is the younger portion of the tree closer to the bark, that is lacking the natural compounds that resist decay. Heartwood is a solid red color, that gives "Redwood" its name, and when building a planter box, it is a must, and is the key for building a box that will last a long time. Good heartwood sitting on crushed rock or drain rock underneath it, should last 10-20 years or more. Always choose the best heartwood available, which is an uniform, dark red color. For the benderboards especially, you may have to go through a lot of lumber to get any solid heartwood. COLD WINTER AREAS: If you are using this box in an area that get hard frosts or snow, you will have to dig a trench before winter, and place the box into the trench and bank earth around the box, so that the roots do not freeze. ---Hammer, Saw and Tape measure, (and square, if possible). ---One piece, 6 ft. x 5-1/2" x 11/16" redwood con comm. 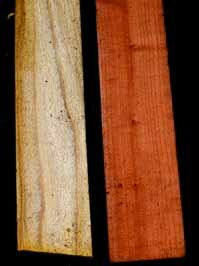 fence board, dog-eared, Redwood SKU 613-371 $1.97, the BOTTOM BOARD for your box, or the same fence boards made of cedar. 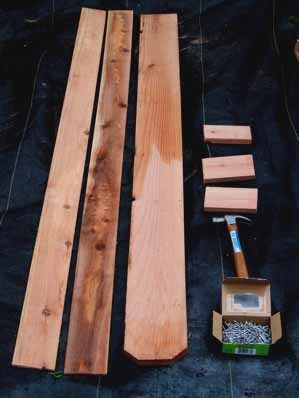 ---Two pieces, 8 foot redwood bender board, 3-3/4" x 1/4", heartwood SKU 457-639 $2.19 each, the SIDE BOARDS for your box. Or you can use two more pieces of 6 foot dog-eared fence boards. ---One piece, if you are going to use the redwood bender board sides, 8 feet x 3-3/8" x 5/8" redwood S1S2E (sanded three sides) con heart SKU 906-358 $6.25. Or if using fenceboard sides, then another fence board. You only need 18 inches of this wood for each box, so if you are only building a box or two, see if you can get a shorter piece. This piece will be cut to make your two HEAD BOARDS and one CENTER BOARD. 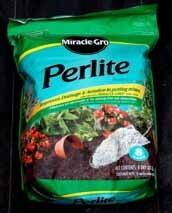 ---One bag, Perlite, Miracle grow brand, 8 quart (1/2 bag per box). 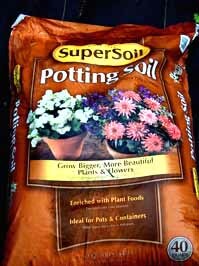 ---One bag, potting mix, 16 quarts per box. We recommend Miracle Grow® Orchid Mix or Miracle Grow® Organic Choice, for boxes outside of California. Within California, the Supersoil® brand is very good, and their 40 quart bag will fill about 2.5 boxes. 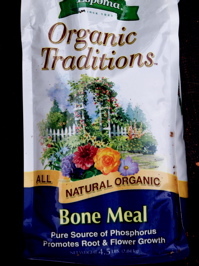 ---Bone Meal, one cup per plant per box. 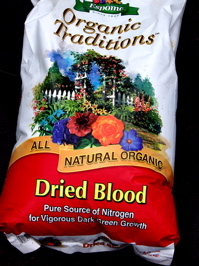 ---Blood meal, one cup per plant per box. ---Two small flat rocks, about 2" inches each in diameter. These pictures show putting together the box with redwood and using benderboard sides. 1.) The BOTTOM BOARD (center of picture) is a dog-eared piece of redwood fence board, 5-1/2" wide and 6 feet long. Dog-eared means that two 45 degree angles were cut at one end to give it that classic fenceboard look. Get the best piece of heartwood you can find, and do not mind small knots, because they will just be additional drain holes for your plants. 2.) Your two SIDEBOARDS (the two pieces on the left of the Bottom Board) will be two pieces of 4 inch wide benderboard, cut as closely as you can, and cut the ends square, to 6 feet long. 3.) The two HEADBOARDS and one CENTER BOARD, (above the hammer) are three 5-1/2" pieces cut off the 3-3/8" by 5/8" piece of redwood. 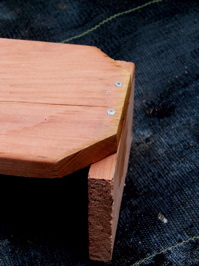 The sanded-three-sides wood is cheaper than the sanded-four-sides, but either could be used. The important aspect in choosing this piece, is good heartwood without any knots. Cut three 5-1/2" long pieces as closely as you can, and make sure your cuts are square. 1.) Nail a HEAD BOARD to either end of the BOTTOM BOARD, and make sure that the two pieces are square. 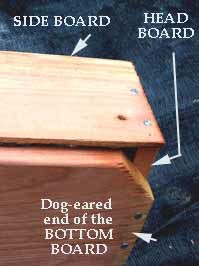 When nailing the HEAD BOARD to the dog-eared end of the BOTTOM BOARD, make sure that the two pieces are square. 2.) Nail the CENTER BOARD to the BOTTOM BOARD. You will have to peek underneath the BOTTOM BOARD to get the nails to hit the middle of the CENTER BOARD. 3.) SOAK the ends of the SIDE BOARDS in warm water for a few minutes before assembly, will help the benderboard wood to not split. Or you can drill nail holes. Carefully attach the two SIDE BOARDS, the 6 foot long bender boards. Start at one HEAD BOARD, and mail in only one nail, then nail in a single nail to attach the SIDE BOARD to the other HEAD BOARD. Check the overlap of the sideboard with the bottom board, before you nail in the second nail. You should overlap the bottom of the SIDE BOARD to cover a little bit of the BOTTOM BOARD, maybe 1/16 of an inch (about 2 mm). Then, nail in the second nails into the SIDEBOARD to attach it to each of the HEAD BOARDS. Then, nail the SIDE BOARD to the CENTER BOARD. Repeat for the SIDE BOARD on the other side of the box. ADDITIONAL DRAIN HOLES are not necessary. 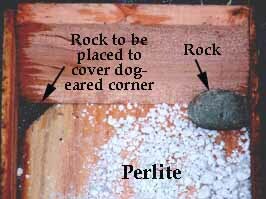 Water will drain through the layer of perlite that you will be putting on the bottom, and then drain between the bottom board and the side boards, and also through the two dog-eared holes, so additional drain holes are not needed. 5.) Add 1/2 bag of a 8 quart bag of PERLITE. 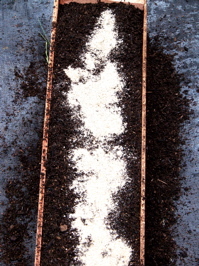 The perlite makes a layer about 1/2 inch deep at the bottom. 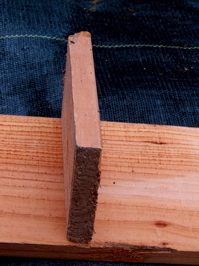 Add two flat rocks about 2 inches in diameter to cover the holes made by the dog-eared end of the BOTTOM BOARD. 6.) Add about 16 quarts of potting soil, and fill to within an inch of the top of the SIDE BOARDS. On the West Coast, we use the SUPERSOIL brand, and the 40 quart bag will fill 2-1/2 boxes. Or use Miracle Grow® Orchid potting mix, or the Miracle Grow® Organic Choice mix. 7.) Add one cup of bone meal per plant, evenly scattering it down the length of the box. 8.) Add one cup blood meal per plant, spread evenly down the length of the box. 9.) 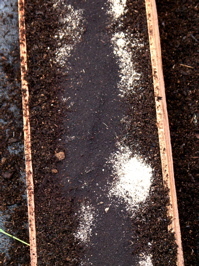 Mix by hand, the fertilizers into the potting soil, starting at one end of the box, and pat down the soil, when finished. Add another inch of potting soil evenly on top. 10.) 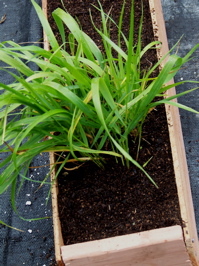 Plant your sweetgrass plants, three to six plants to a box. 11.) Provide a well-drained base for underneath your box. This is very important for the longevity of your bottom board. Provide some type of well-drained base for your box to be sitting on. Crushed rock, some flat rocks, several bricks, etc. If there is something that drains water away very quickly, between the bottom board and the dirt, then the redwood will last much longer. This is especially important in spring and summer. 12.) In cold-winter areas where the ground freezes hard, when frost is approaching---either bank up dirt around the sides of the box, or dig a trench the size of the box, and overwinter your box with your plants there. Then in spring, unbank the soil from around your box or take it out of the trench, to make the redwood last longer.